When Bill Rouse, our founder, hired me in 2001 to be Liberty's chief investment officer, he said something I thought at the time was very strange. He told me that my performance, and my advancement, would be judged not by him, but by my peers. I totally did not get that. Wasn't Bill the CEO? Didn't he make all the decisions? It didn't take long for me to understand what he meant. Liberty is a place where people work together in collaboration. We help others learn and advance, and we help ourselves in the process. We believe, with all our hearts, that our culture has a positive impact on the services and products we provide for our customers. Liberty has room for many people, many different kinds of people with many different talents, but all with a passion for achieving success through mutual trust and cooperation. We want you to succeed. Come and join us. 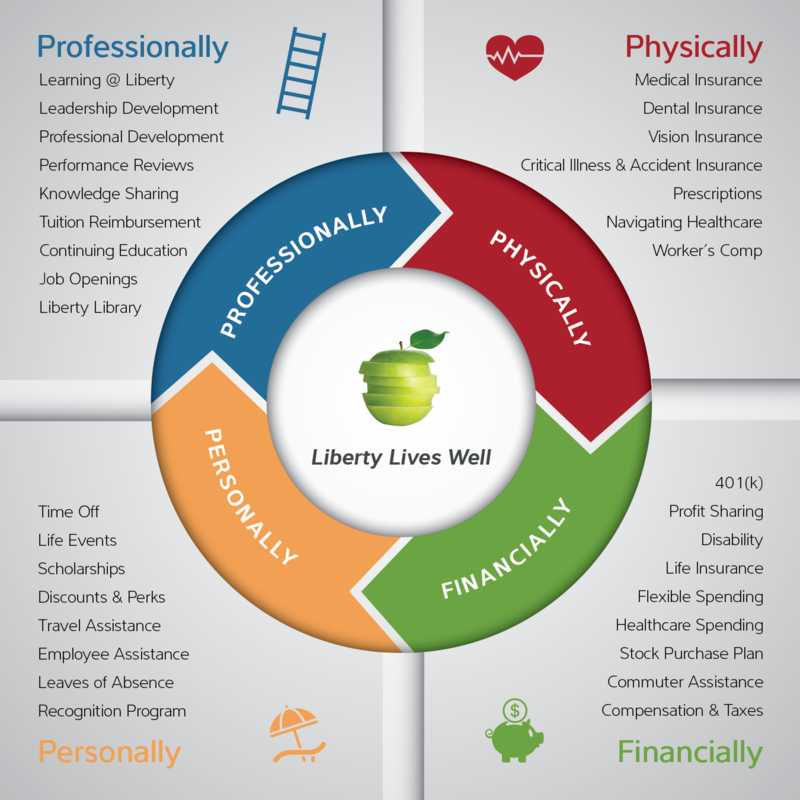 When you ask Liberty employees about the "company culture," you may not hear about the rich compensation and benefits offerings - the standard stuff. But rather you'll hear about the people-first focus, the integrity by which we operate and the overall feeling of being a part of a caring, generous and talented group of people. In fact, the common phrase you'll hear as new hires are introduced to their peers across the company is, "welcome to the family." The most compelling reason for joining Liberty, and what really drew me to the company, was the portfolio: how unique it was, and the modern and extraordinary projects. They were such a beautiful work of art. It made me just say "Hey, I want to be a part of that company, I want to learn those skills." At Liberty, our people are our company. That's a fact. And without them, we couldn't be nearly as successful as we are today. In return, we are committed to recognizing the dedication and pride that our employees take in their work. One of the ways we do this is by offering a comprehensive and competitive total rewards package designed to help them live well in all aspects of their lives-physically, personally, financially and professionally. That's why our benefits demonstrate that "Liberty Lives Well". We see our team members as a crucial driving force behind our success. Join our highly qualified and diverse workforce to make a difference, not only in your career but in your community as well. Giving back to the community is an important part of who we are as a company. Our “Liberty family” partakes in numerous charity events throughout the country while also contributing to organizations such as the United Way every year.